It might be viewed as a dirty business by some, but our customers know they can rely on us to make their lives a little bit cleaner, a little bit better. We get outstanding reviews because we understand that it's our customers' needs that always have to come first. They did the job quickly and without fuss, even though there were heavy objects. I was allowed to add to the when I found extra rubbish and they tried not to leave a mess. Fantastic - everything about the service was great. Will absolutely use you again. A really good service. The guys arrived promptly did the job and were gone. I was really impressed. We can proudly say that we do all in our power to recycle the waste we clear. We are among the few home support companies that care about the environment and that is another reason we are preferred by so many customers. 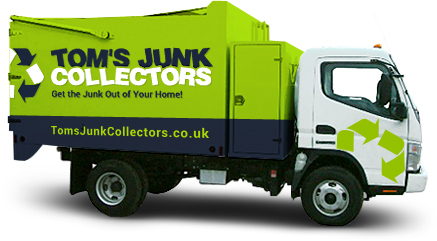 We execute our rubbish clearance and waste collection in an environmentally-friendly matter. Simply give us a call now on 020 3404 6996 to hear more about the reasons we get such great reviews. You can also get in touch with us via our online chat support facility, or through our online booking form. No matter how you choose to get in touch, we'll be glad to offer you a free instant quote on each and every service we provide. We offer competitive prices, great customer care and a comprehensive range of waste removal services, serving entire London.